Wow. Lots to say about our second stop, so please keep reading. 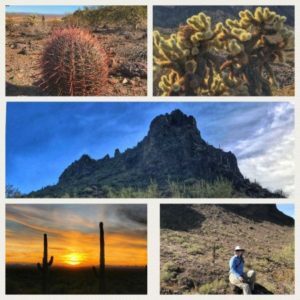 The Sonoran Desert is simply amazing, covering all of southern Arizona (as well as parts of California, New Mexico, and Mexico) for a total of 100,000 square miles. It is the hottest of all North American deserts, yet unique because bimodal rainfall within it produces large biological diversity. 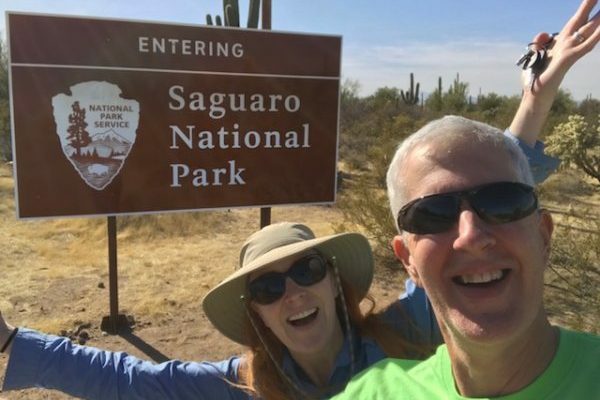 We cruised through the Sonoran Desert National Monument on our way to Picacho Peak State Park. 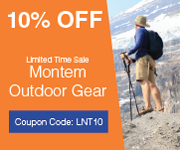 The state park offers great RV sites, hiking trails, and much more! We definitely recommend staying there — and hiking the Nature Trail and Calloway Trail, as well as the Sunset Vista Trail. 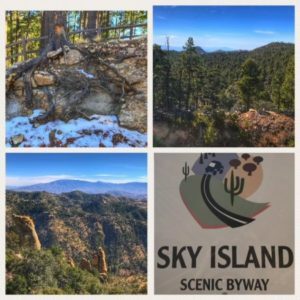 While in the area, we took on an adventure from desert to alpine on the Sky Island Scenic Byway, going from cactus up more than 6,000 feet in elevation to coniferous forests on the Santa Catalina Mountains; we gained altitude, but dropped 20 degrees in temperature! The vistas are amazing, and it was wonderful to be in the pines and other evergreens of the Coronado National Forest. We even saw a bit of snow along several areas of the drive. Next up was Saguaro National Park (established in 1994), outside of Tucson. This 92,000-acre national park is actually divided into two parts: the western region (Tuscan Mountain District), which we visited, and the eastern region (Rincon Mountain District). 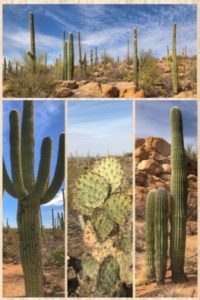 The park preserves the Sonoran Desert landscape, fauna, and flora –including the giant saguaro cactus, which is native to the desert — and whose blossom is the state wildflower of Arizona. Native Americans (including the the O’odham tribes) have a long history of not only respecting the saguaro, but also using the saguaro fruit in their culture. The saguaro cactus is emblematic of southwest. 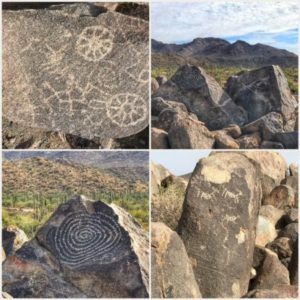 Speaking of Native Americans, another beautiful (and historical) part of the Saguaro National Park are the petroglyphs left by the Hohokam Culture — from several hundred to about a thousand years ago. This rock art was created by etching, pecking or scraping designs into the dark patina found on the surface of sandstone and other rocks. Be sure to hike the fairly easy (.3-mile) Signal Hill Trail to witness dozens of these petroglyphs, as seen in the collage above. 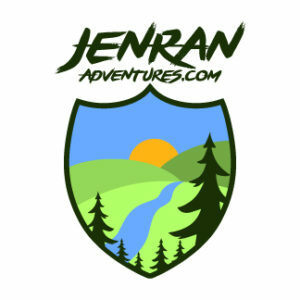 Other fun hikes include the Desert Discovery Trail and the Valley View Overlook Trail.